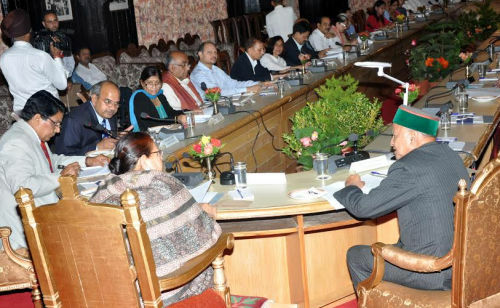 Anita Tegta, Secretary to Governor, Himachal Pradesh said that disaster management was a important and sensitive issue connected with human lives and property and requires to be paid appropriate attention. She was presiding over one day workshop on disaster management organized by State Red Cross Society here today. She stressed for proper awareness of disaster management amongst the people and said that intensive Information, Education, and Communication (IEC) campaigns were required in this direction. 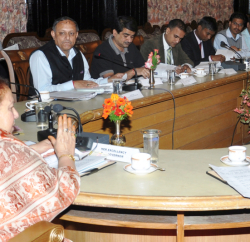 She said that disaster management committees had been formed at State, District and Block levels to aware the masses. Tegta while appreciating the efforts of the Red Cross Society said that it had been working for suffering humanity and stressed to outreach its activities in schools and colleges. Ojas S Walia, Assistant Commissioner, Saint John Ambulance Brigade, New Delhi detailed about disaster management and stressed for mutual coordination for relief and rehabilitation during such disasters. Dr. Madan Kaushik, Professor and Head of Blood Transfusion Department, IGMC, Dr. S.S. Randhawa, senior Scientist, O.P. 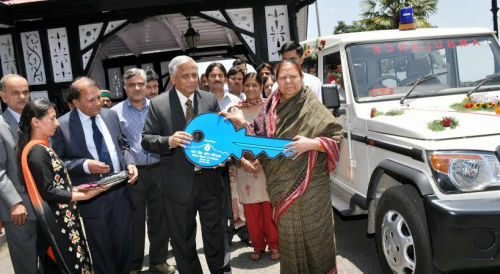 Bhatia, Secretary, State Red Cross Society, K.K. Shah, OSD, Red Cross Hospital Welfare Section, and other office bearers of State Red Cross Committee were present on the occasion.